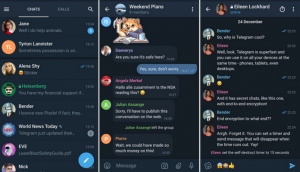 The recently released app – Telegram X has attracted lots of attention and reviews. Many compare it to its predecessor, Telegram. Here’s what you need to know about Telegram X, which involves its features, specs, and outlook. Perhaps after this (and probably after you’ve downloaded it and had a feel of it), you can make your own judgment. 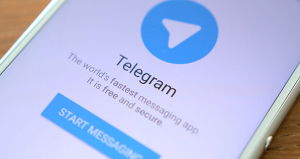 It is speculated that the Telegram X was developed off Challegram, an android app that won the Telegram Contest Challenge sometime in 2016. It was modified and Telegram X was born. Well…What can I say? I won’t go investigating that now. It was released sometime in December 2017 (I am not sure of the exact date of its unveiling) for iOS–yeah! the iPhone bosses. But weeks ago, the beta version for Android was released. Perhaps, the most visible feature of this app is its dark icon, which differentiates it from the blue color of Telegram. In terms of its development, the app was created on a programming language called Swift. For more information on the Swift programming language, you can check it here. Some developers say that with its development on the Swift platform, Telegram X is faster, more efficient and conserves more RAM space than Telegram. I downloaded the app immediately I heard of its release. When I opened it, I noticed two new tabs: the night mode- which gives the dark/gray background that is more appealing to the eyes (at least to my eyes) – and the bubble mode, which, I think, gives some animated effect to the messages. I found this very comfortable. In Telegram, it is still possible to get the same theme effect, going through the Settings. Generally, the app has the option of selecting one of four color themes (dark, black, light and classic light with a gray background) which makes it elegant in appearance. I guess that’s the X factor! One can easily move from chats to calls with the swipe- a feature akin to WhatsApp. You can find other wonderful features in Telegram X, like the saved messages tab that allows you to easily save and access your saved messages, posts and pictures, the animated design of the notifications, and an advanced settings option. Like I said, the X-factor! So go ahead and download the app and experience texting your friends, family and loved ones on a splendid Telegram X! For further inquiries about Telegram X, please drop your comments on the drop box below! The post All You Need To Know About Telegram X – Features & Specs appeared first on ONLINE PLUZ.